Where are my Disney On Ice fans? I know you have been waiting to take your kids to the next show. Who doesn't love the graceful skating moves made by our favorite Disney characters? 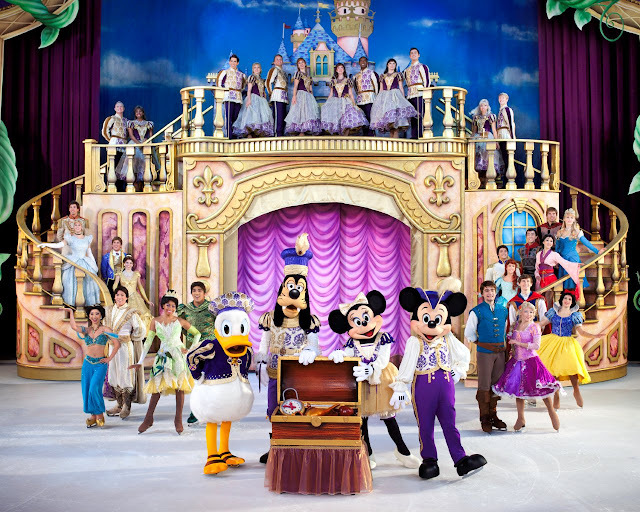 The latest show, Disney On Ice: Treasure Trove is sure to please! Thanks to Disney On Ice and Stonyfield Yokids Organic Yogurt, my family will get to see it at Long Beach Arena next month and we can't wait! 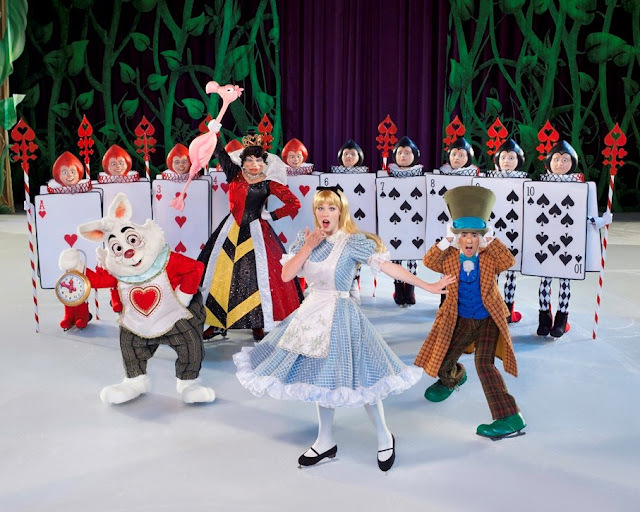 Tickets to Disney On Ice presents Treasure Trove are now on sale for April 13 – 24th, at two Southern California locations: The Long Beach Arena and Citizens Business Bank Arena in Ontario. Follow Mickie, Minnie, Donald and Goofy as they look for treasure through some of our most beloved films. Rapunzel and Flynn entangle them with a web of mystery from Tangled. Your little princess will love seeing Ariel, Belle, Cinderella, Jasmine, Aurora, Tiana, Mulan and of course Snow White! Set sail with Peter Pan, the always sassy Tinkerbell and Captain Hook and his pals. Head to Africa with Simba, Nala, Pumbaa and Timon as they discover the true meaning of the ‘Circle of Life.’ Tick-Tock! Tick-Tock! Don’t be late to a very important date with Alice and the Mad Hatter as they march with the Queen of Hearts’ Army of Cards. Plus set a playdate with Woody and Buzz Lightyear because the toys are back in town! Highlighting eight Disney movies and more than 50 Disney characters featured, Feld Entertainment’s Disney On Ice presents Treasure Trove! Feld Entertainment is the worldwide leader in producing and presenting live touring family entertainment experiences that lift the human spirit and create indelible memories, with 30 million people in attendance at its shows each year. Feld Entertainment’s productions have appeared in more than 75 countries and on six continents to date and include Ringling Bros. and Barnum & Bailey®, Monster Jam®, Monster Energy Supercross, Nuclear Cowboyz®, AMSOIL Arenacross, Disney On Ice Presented by Stonyfield YoKids Organic Yogurt, Disney Live! Presented by Stonyfield YoKids Organic Yogurt and Marvel Universe LIVE!